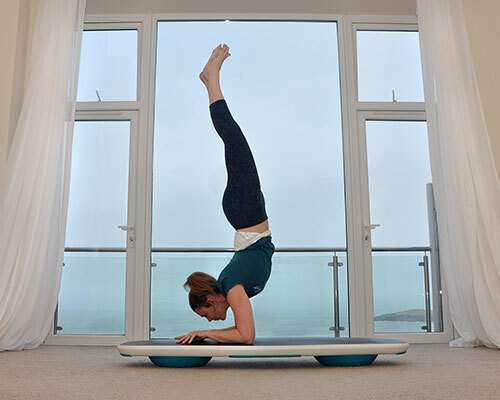 Ocean Yoga utilises a board that rests on elevated balance pods, allowing it to mimic the instability of water and wave movements which in turn exposes your weaknesses and forces your mind and body to work together to discover stability. 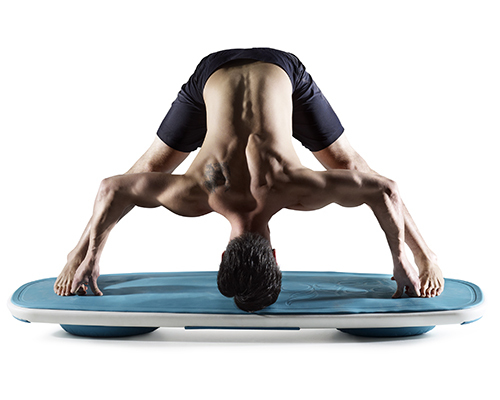 Traditional yoga allows your body to compensate for poor technique on an even surface. 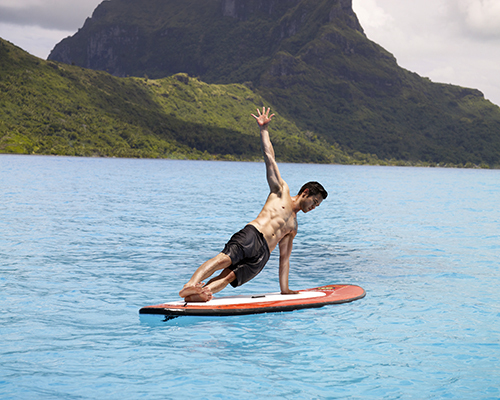 The instability of the Ocean Yoga Board pinpoints your weaknesses and forces you to correct them to remain balanced atop the board. This unique experience engages your mind and body, builds lean muscle and intensifies calorie burn. This discovery provides a total-body workout that strengthens your core, blasts away body fat and improves flexibility and mental focus. Oceanflow Yoga will be the first yoga studio in the UK to teach on these boards. Follow us on our Facebook page to be the first to know the launch date for the classes. www.facebook.com/OceanflowYogaCornwall. Currently we offer private yoga sessions for up to three people with the boards, please contact jen@oceanflowyoga.co.uk for availability. The price is £40 for an hour’s session so go ahead, tell your friends and come and have some fun! If you own a yoga studio and are interested in stocking these boards, please email stretch@oceanflowyoga.co.uk for further information.